For any mama who loves her ERGObaby Carrier, but wishes she could change up the color or design, the new ERGObaby Options Carrier ($110) is for you. It comes in all black base, but you can buy a set of 3 different colors (which will run you around $30) to change up your look. Each cover attaches easily (via snaps) and it makes it easier to match to your outfits, child’s outfits, your diaper bag… Then you just attach the pocket (which comes in black) via velcro over the colored fabric. How cool is that? We sampled the ERGObaby with the Bold Pack ($30). 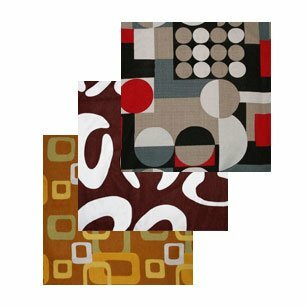 I loved the fun geometric prints – since I wear a lot of black, brown and red, I was able to match what I was wearing. The India Pack (with exotic, floral prints) is also available. We’re fans of this innovative concept! If you don’t own an ERGObaby yet, I highly recommend it. It can be used from newborns to toddlers (just use the infant insert with babies with poor head control). The weight of your child is distributed on your hips, not your back. You can wear your child facing into you, on your back, or on your hip. Thank you to ERGObaby for sending a product sample to for review purposes.